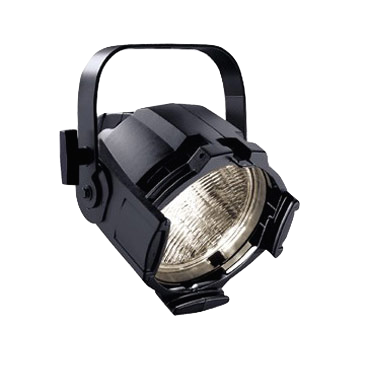 Source Four PARs™ stand out of the luminaire crowd with their rugged die-cast aluminium construction and acclaimed Source Four optical technology. Superior brightness and energy savings. Source Four PARs deliver a smooth even field, and at 575 watts are comparable to 1000W PAR64s — while saving 40% on energy. Elegant, compact, efficient and flexible – the new standard for PARs. Source Four PAR comes with a set of four snap-in lenses that mount in a cool, rotating ring. That also means no more reaching into a hot can with cracked porcelain sockets. And when you need a new lamp, just use your stock of Source Four HPLs (no need to carry a large inventory of expensive PAR64 lamps). The Source Four PAR’s compact design means more units can be mounted on a pipe or fit into a truck. Combined with reductions in power and cable requirements, Source Four PARs are perfect for touring.